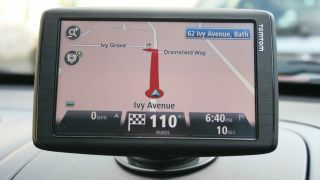 How much time does the trusty sat nav have left? After the announcement that TomTom is behind Apple's new mapping and navigation system on iOS 6, the company has confirmed a shift in focus. TechRadar spoke to Taco Titulaer, TomTom's SVP Corporate Development & Treasury, who revealed the state of play at the company. Titulaer said: "As more and more people get smartphones, it will start to cannibalise the PND (personal navigation device) market, and we cannot stop that." "TomTom has been very open about PND sales and realises the market will shrink, although it's still tens of millions of people in size." To combat the shrinking dedicated device market TomTom has changed to the way its works, to prepare for the future. "We're focussing more and more on content, software and services. TomTom has started to make in-roads into the automotive market, and now with the announcement this week, the mobile market as well", Titulaer explained. It's a smart move by TomTom, who noticed the shift a few years back, thus started to work with car manufacturers to get its navigation devices built in to vehicles. However, if you think prices are about to tumble as TomTom tries to shift units, think again, as Titulaer confirmed that cuts were not on the cards, as the firm is confident in the large market that still exists.